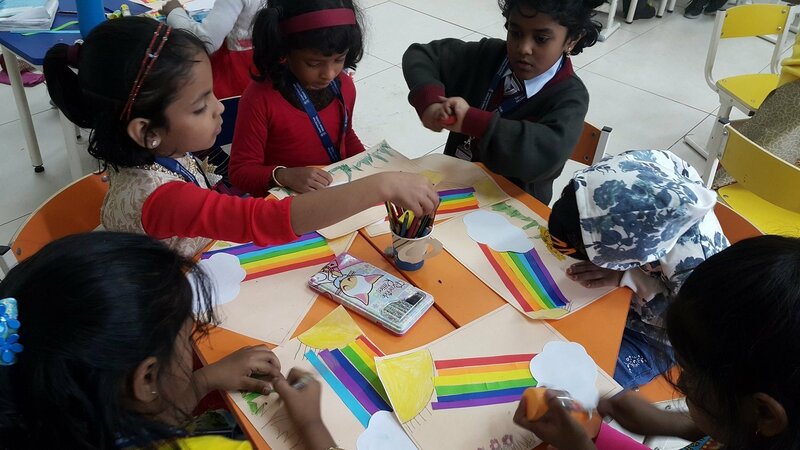 Pre-Primary section of SIS conducted Colour Day activity on 24th January, 2018. 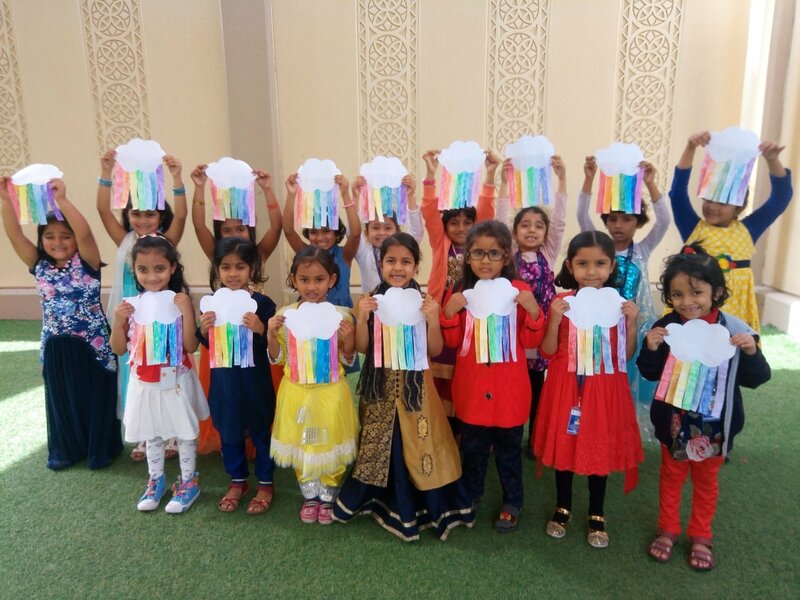 The tiny tots enlivened the environment and filled the air with excitement and laughter dressed up in vibrant rainbow colours. 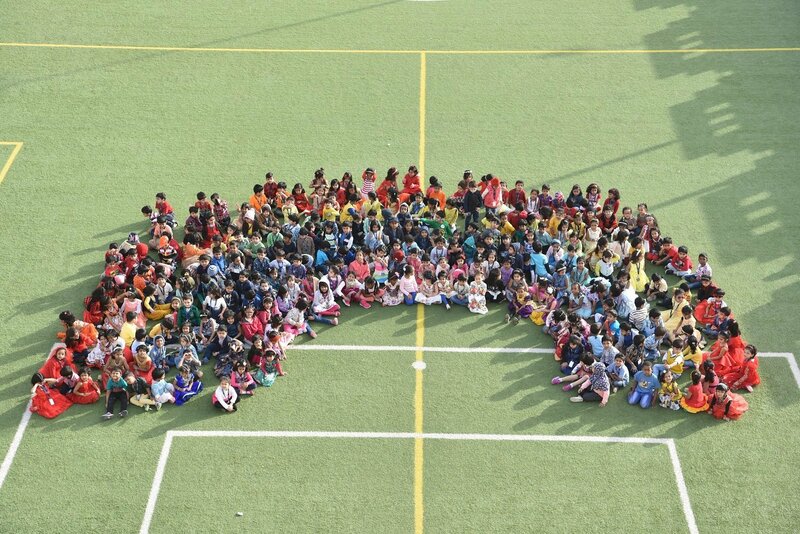 The little ones formed a spectacular rainbow by grouping themselves in the sequence of VIBGYOR. 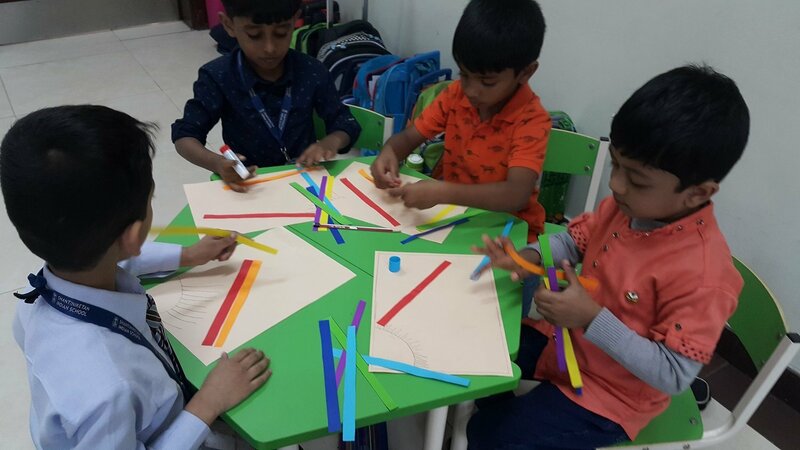 They took part in colouring and painting activities and presented a brief description about the toys and objects they brought. Identification of vivid colours of the rainbow help them to create the cognitive link between visual clues and words. 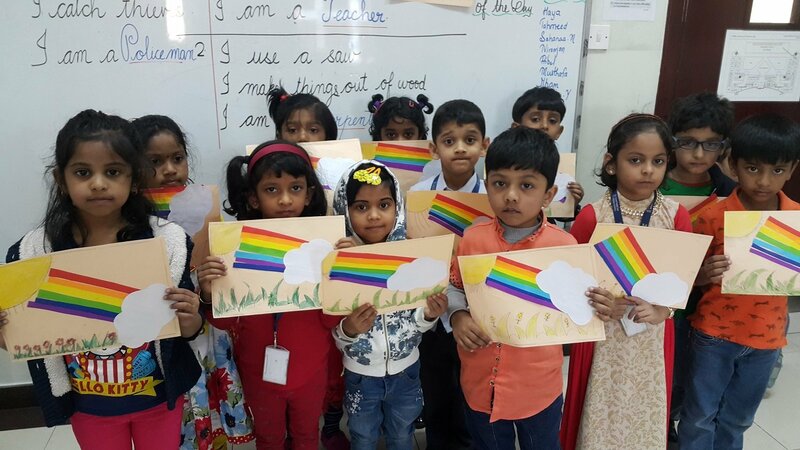 This colourful day proved to be effectual as the beautiful world of colours fascinated and mesmerized the kindergartners.